Each episode of the Artist Insight below is available for streaming and download at our Spreaker page after it airs on our station. To go to our Spreaker page, click here. 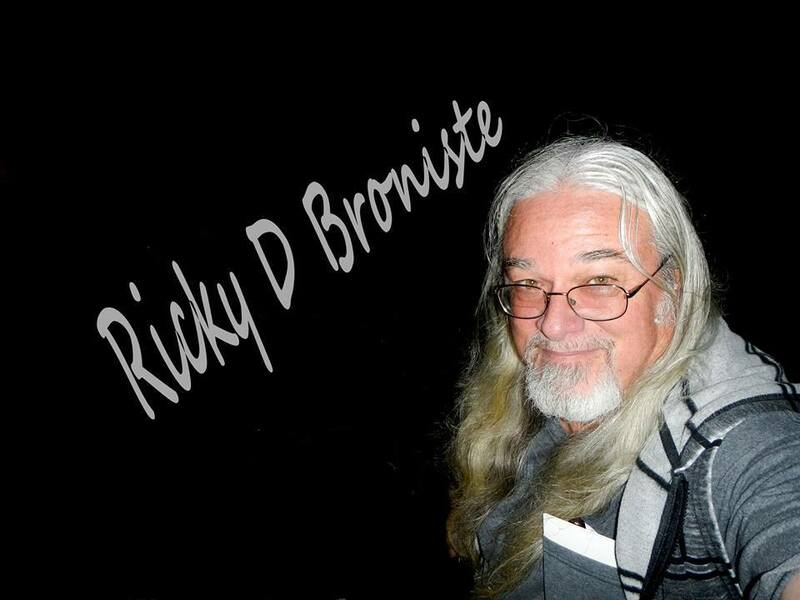 Songwriting for Ricky began with a high school Creative Writing class he took during the Fall semester of 1969. By late 1976, he had written 36 love songs about girls he once once adored. All of them were demoed but, later rewritten to contain Christian lyrics instead. As time went by, guitar playing became many instances of Christian worship leading within church groups, street witnessing and home fellowship gatherings. Musician's Fellowships led to three Christian band formations and memorable moments. Time well spent. In and out of those bands, I wrote additional songs. Twenty-one of my thirty-three songs became the copyrighted compilation titled "The California Years". The internet became his mission field in early 2013, with his music/artist/band page getting started on Facebook. The Christian songs waited until the blues renditions had tested the waters before, fully using Facebook as an outreach. On September 2nd 2015; those blues tunes got onto Christian Internet radio and "Psalm 148" & "No Respect of Persons" got airplay, later that month. In this interview, Ricky talks about his life, music and ministry and how God is using it all to touch lives. Katy Dahl is a independent artist & worship leader in Minneapolis, MN. Originally from northern MN, Katy grew up with a love for music, especially the sound of the acoustic guitar. After high school, Katy attended a two year Bible college in Plymouth, MN called AFLBS. After graduating from there in 2012, she took the call to be the worship leader at Living Hope Church in Rogers where she is currently serving. After a couple years off of school, she went back to the University of Northwestern to finish her B.S. in Music Ministry. She loves communicating the Gospel through music and it is her desire to spread a clear message in a way that is creative, yet easy for people to resonate with. Her first EP “HOME” was released in the spring of 2017 and resembles an acoustic/organic vibe. It was tracked and mixed at ZSEA Productions in Minneapolis by Brian Ricke and was self-produced. Hear Katy's music on WNSM-DB NoteSpire Radio at our website and on the Live365 app. From Eden, North Carolina, Doug Corum grew up listening to the classic sounds of the 70’s, especially the soulful sounds of Bob Seger and the Silver Bullet Band. Doug first took the stage standing on the coffee table in his parents’ living room at three years old, crooning Bob Seger songs like a pro. His mother used to sing as she rocked Doug to sleep as a baby. He learned to play the ukulele at the age of seven and his fascination with music continued to grow. His relationship with Jesus Christ is what he credits his strength to today, and he is so excited to share it as he ministers wherever the Lord leads him to go. Doug and his wife have two beautiful daughters who are an answer to prayer and a blessing from God through adoption. Their journey as a family is a testimony in and of itself. John 3:16 is the verse that Doug carries closest to his heart today, because his mission isn’t just to entertain. Doug has responded to God’s calling by stepping onto the battlefield, dedicating his life to sharing the gospel of Jesus Christ. His debut album, “Jesus is with Me” was recorded in 2017 with the collaborative resources of Big Feat Productions in Shelby, NC and Crossroads Studio in Arden, NC. The album’s first single, “The Winds of this World” is included on the latest Crossroads compilation CD. Keep in touch with Doug on Facebook to find out where he will be ministering through song, and be sure to sign up for. his mailing list to receive ministry updates. Caitlin Jane offers not only gifts of poetic songwriting and performance, but delivers with these a consistent message of hope in a broken world. With piano-driven tunes and powerful, rich vocals, her heart-felt faith is interwoven through each one of her songs. One of her greatest passions is using her platform to speak on behalf of those who have no voice, defending the dignity of each human life and advocating for children and the unborn. She has released three albums to date, Ashes into Beauty (2007), Coming Season (2011), and her most recent CD, Hallelujah: A Collection of Hymns (2018), which was inspired by the timeless hymns that helped carry Caitlin through an unexpected and life-threatening medical journey. In June 2014, she was diagnosed with a brain tumor that was considered inoperable by many neurosurgeons. However, it was a series of providential events which led her to the only surgeon who could safely remove the tumor and restore her to a healthy life. Just two months after surgery, Caitlin’s soon-to-be fiancé, and now husband, Jamie, was diagnosed with cancer. All they could do was trust the Lord with complete abandon and faith, once again placing their lives and future in His sovereign hands. Jamie finished his chemo treatment just five days before their wedding, and the couple remains truly in awe of the many miracles God has granted along their journey. Her single, “Beautiful Mess” depicts through song their story of faith and courage…holding onto hope when all seemed hopeless, and seeing beauty in the midst of life’s chaos and mess. Slater Armstrong, founder and director of Joining Our Voices, is a worship leader, a missionary, a songwriter, musician and recording artist. As a worship leader, Slater has served two congregations in Baton Rouge, LA since 2008 - Holy Cross Anglican and Trinity Episcopal’s “Morning Glory” contemporary worship service. He has spent the last eighteen years working to create a means of broadcasting the “voice” of the Christians in Sudan through their own indigenous songs. His call to this work came in 1997 after hearing first hand testimony from the late Rev. Mark Nikkel, missionary to Sudan, and his two companions, The Rt. Rev. Nathaniel Garang, Sudanese Episcopal Bishop of Bor Diocese, and the Rev. Bartholomeyo Bol Deng, a song leader of the now infamous “Lost Boys” of Sudan. In this interview, Slater talks with show host Paul Gibbs about his music, his work in Sudan, and his "Join Our Voices" recording project. Visit Slater's website and Facebook page. Pauline is from York, PA. Singer, songwriter, pianist, worship leader, teacher, speaker...these are just a few of the job titles Pauline would use to describe her work. Since discovering God had blessed her with musical abilities and an out-going personality at a young age, Pauline has worked hard to develop her gifts and abilities and use them to bring honor and glory to God. She loves to share her songs and God's word with people to encourage them in their journey to know their Creator. She also thoroughly enjoys helping others find and develop their musical gifts as a teacher of voice, piano, and keyboard. In this episode, Pauline shares her music and her heart with us! This episode features Allen Nichols, a Christian artist and singer/songwriter from Corning, NY. Host Paul Gibbs talks with Allen about his music and ministry, and how he got started in Christian music. Several of Allen's songs are featured in this segment, and he shares some stories behind the songs, and some insights and advice for others starting out in Christian music! Yvonne Hartman is a contemporary Christian singer/ songwriter based in Pennsylvania whose latest album, “Great Adventure,” was released in November 2018. Her songs are described as “inspirational / situational,” pulling from experiences and everyday struggles, while providing encouragement for believers. After singing all her life in church choir, school chorus, and musicals, Yvonne started writing her own original music and performing in 2006. Her music is inspired by God first and foremost. Stories of everyday life - sparked by something from a sermon or Sunday School lesson, a story from a friend, or events in her own life and touched by God. Yvonne is a storyteller, molding stories from life and pointing other toward Jesus. Jim Worthing has made singing his profession for his entire adult life. In a career spanning over three decades, he has appeared in 48 states, Canada, the Bahamas, and Switzerland performing live for millions of people. Jim’s unmistakable pure tenor voice can be heard on over 60 nationally and internationally released recordings. For the past 15 years Mr. Worthing has toured as a solo artist producing six solo projects including his newest release, “Committed To Love.” Prior to his solo career, Mr. Worthing sang with two national award-winning groups, Re-Creation and The Cumberland Boys. He has appeared on the Grand Ole Opry, Prime Time Country, Nashville Now, Crook and Chase, the Trinity Broadcasting Network, the Canadian television show - 100 Huntley Street, and Paul Heil’s nationally syndicated radio show, The Gospel Greats. This edition of Artist Insight features Kevin Winch. Kevin was born in Knoxville, TN. He has lived many places in the U.S. but currently lives in Manchester, TN. Kevin plays piano and writes songs. He performs these songs at his church in Tullahoma, and performs them at a nursing home as well. Kevin came to know Jesus as His Lord, and was saved, at the age of 19, as he felt the Lord tugging on his heart to be saved. Later in life, after his mom's death, Kevin backslid and got into sin. But the Lord pursued Kevin with His Holy Spirit, to draw Kevin back to faith in Jesus. And in 2008, Kevin rededicated his life to Jesus as His Lord and Savior, and was restored in His faith as He encountered the Holy Spirit once again. And now that Kevin has Come Home to Jesus, He understands that it is through faith in Jesus and His death, burial, and resurrection that we have eternal life. And what Jesus has done for Kevin, He can do for you. This interview with Kevin features several of his songs, recorded with Elzie Self, from the album BRAND NEW DAY a fresh new gospel album the two have collaborated together on. 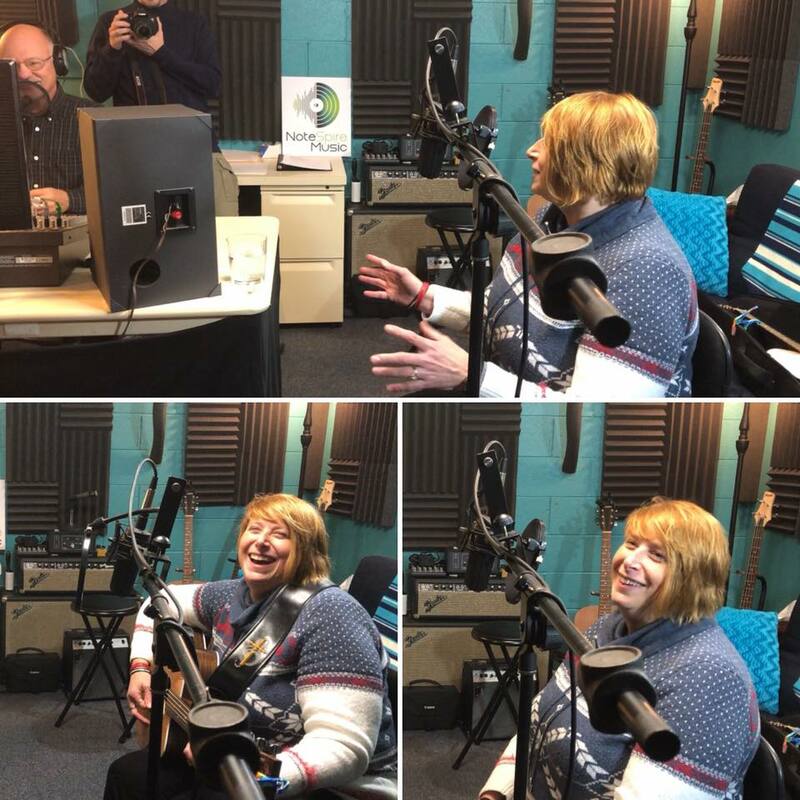 Dawn Gwin appeared on the Artist Insight recently and talked with host Paul Gibbs about her music and ministry, with special attention on this book. She kept seeing a need that wasn’t being met in person after person with a “broken” life. She knew of so many who have been through, or, who are in the midst of great trial. Through much prayer for the broken lives all around us, The Lord Jesus compelled Dawn to reach out to these shattered lives; but she knew she couldn’t do it on her own. When she sought The Lord for what He wanted for those whose lives are shattered in many pieces, that’s when He put the title, “Broken ~ My Thorn, My Rose” in her spirit to write. Dawn thought the book was going to consist of a few poems and devotions; but as she continued to seek The Lord, little by little He began to show her this would be a compilation of true stories/testimonies from several people whom GOD brought from darkness to light; from aloneness to companionship; from life without purpose, to living life with meaning and purpose in the center of GOD’s plan. When you read the stories that have come through from all over the world (Uganda, Australia, Kenya, Ghana, England, Republic of Congo, China, Indonesia; along with several all over the United States), and from all walks of life, you will see it truly is “A Small World After All.” You will see that trouble troubles us all, not only one culture and race, but all; not just in your own country, your own city, your own neighborhood, your own home, but in all. Then you will find, all around the world, a great big loving GOD, the Creator of all things is deeply and passionately in love with us all and wants to go with us through each situation we face – anywhere and anytime! Purchase your copy today! Click Here!